Parenting is a full time job. From caring for your child to working to sleeping to breathing, there just aren’t enough hours in the day! Bestselling author Julie Morgenstern felt overwhelmed, so she drafted a road map--full of practical guidelines and insights--for parents to raise children without losing themselves. In this podcast, Julie brings her productive parenting manual to life with stories from real parents, advice from experts, and knowledge culled from her almost 30 year career as a consultant and a mom. This week we have another special guest: Hillary Frank. She's the creator and executive producer of The Longest Shortest Time podcast as well as the author of a new book titled Weird Parenting Wins: Bathtub Dining, Family Screams, and Other Hacks from the Parenting Trenches. To find out more about Hillary Frank, The Longest Shortest Time and her new book, go to: longestshortesttime.com. Interested in learning more? You can buy Julie's new book, Time to Parent, here: bit.ly/timetoparentbook. You can also visit juliemorgenstern.com for more tips and tools. Go to the contact page to book Julie at your group or event. This week we have a special conversation with Julie Lythcott-Haims, author of How to Raise an Adult: Break Free of the Overparenting Trap and Prepare Your Kid for Success. Find out more about Julie Lythcott-Haims on her website, www.julielythcotthaims.com. You can also visit juliemorgenstern.com for more tips and tools. Introducing "Josie & Jonny Are Having a Baby (With You!)" Christy worries about how her phone usage affects her sons. Julie coaches her on how to resist the siren call of technology. Fun: How do I make space for fun as a parent? Rebecca has wanted to start embroidering for years, but life keeps getting in the way. Julie helps her build in some quality fun time. Love: How can I spend more quality time with my spouse? Adira can't seem to find alone time with her husband now that their baby is a toddler. Julie helps her discover innovative ways to connect. This week we have a special treat: a recording from a live event in California. There's nothing Julie loves better than speaking to parents in person, so we hope you enjoy! Cathy just wants some time alone with her husband, but she doesn't have anyone to look after her daughter. Julie coaches her using a key parenting skill, building a village. Exercise: How can I balance a healthy body with my responsibilities as a parent? Emma feels guilty when she leaves her children to go exercise. Julie helps her figure out how much exercise she needs to get back on track. Sleep: How can I get more sleep? Maria is up at all hours of the night to tend to her crying baby and she's not getting nearly enough sleep. Julie helps her split the workload and find more time to rest. Rebecca can't stop striving for perfection even when it causes her stress and anxiety. Julie coaches her using a key parenting skill, selective perfectionism. Teach: How can I teach my kids the value of picking up after themselves? Liz can't seem to get her kids to pick up their toys. Julie helps her engage the whole family in valuing an orderly house. Relate: How do I connect with my child when there’s so much that needs to get done? Jennifer worries that she and her daughter will never get along. Julie gives Jennifer the tools she needs to feel connected. Kathy has trouble shifting out of "work mode" when she talks to her daughter on the phone. Julie coaches her using a key parenting skill, mindful transitions. Arrange: How can I organize my home to streamline my morning routines? Diana is a messy person whose mornings have gotten out of hand. Julie helps her create a system to keep her on track. Provide: How do I create edges between work and family? Elizabeth is a working mom who feels like she can't be present at work or with her family. Julie helps her create edges to better manage her time. Parenting is the biggest job in the world, but it's the only one without a job description. Julie Morgenstern is here to change that. Interested in learning more? Take the parenting self assessment here: bit.ly/parentprofile. Organization expert Julie Morgenstern brings her skills to the biggest job you'll ever have: being a parent. 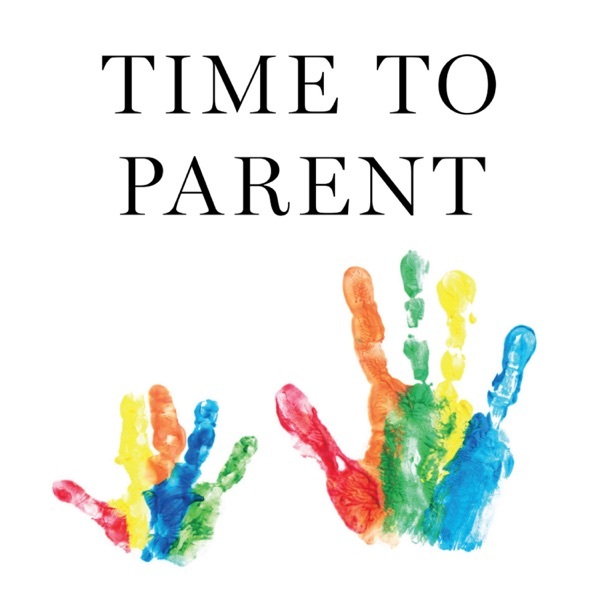 Time to Parent will give you the tools you need to have more time, less guilt and deeper joy as you raise your child.